In use, the Telos awoke from standby like an animal does in the wild; in an instant, perfectly alert and without so much as a whisper. Whilst it remembered the last-used input, it did not do it for volume. That always started over at 00 again. A built-in safety feature of sorts, it's a protocol which might seem just a tad overbearing amongst careful adults. But be it on 84dB ceramic-driver speakers or 98dB 20Ω paper-driver widebanders, the Goldmund proved equally imperturbable. Utterly noise free both mechanically and electrically—neither transformer hum nor driver hiss—and with a properly weighted attenuator to scale up and down leisurely, the 590 was a joy to use regardless of whether I fed it analog from an outboard DAC or digital into its own converter. 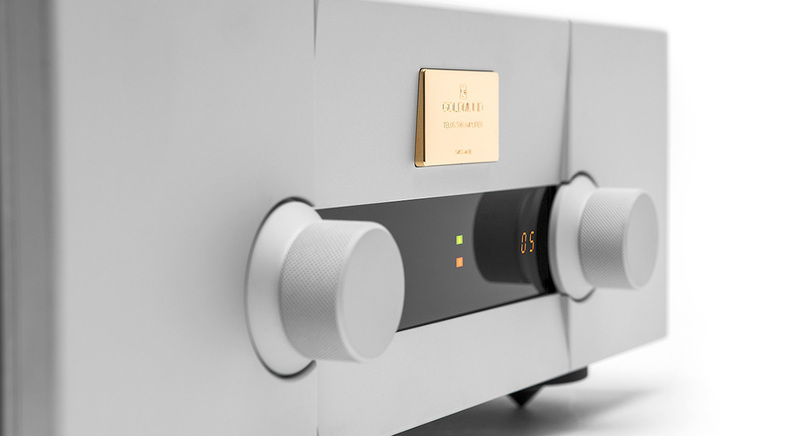 Clearly related to Goldmund's established Job house sound which we've explored extensively in prior reviews, the 590 shifted into a higher octave. Think two additional gears which make going fast completely effortless. Think heavier chassis and superior suspension to make the ride smoother, virtually decoupled from physical speed with its bumpy feedback. Still an obvious example of the fast school, the flagship integrated thus added suavity, relaxation, colour intensity and treble finesse. Where the Job 225 can be a mite brash and fresh if speakers mirror its impulsive quick lean temperament, the 590NextGen played it fully mature, calm and self-assured. In human personality traits, the 225 was the younger fully self-absorbed version. Lack of awareness of its surroundings mean one-upmanship and show-off attitude. The 590 was well beyond that stage. The need to dazzle and impress had given way to less doing and more being if such anthropomorphic talk makes sense to you. Back to audiophile nuts and bolts, connecting the multi-tasking NextGen to our Accuton transmission-line 2-way towers became a perfect match. I would never say that about the equivalent Job. Our 225 lives in the media room instead. Its German Physik HRS-120 pure omnis favour a more incisive lit-up amp. That compensates for their deliberately enhanced room interaction. In the big room, the NextGen optimized the Zu Druid V's luxurious Radian compression tweeter for treble gymnastics usually quite beyond that speaker's reach. Surprisingly, this did not, by any stretch, default into the forward, whitish or brisk on the inverted ceramic tweeter of the Albedo Aptica. That attractive Italian floorstander became the ideal tell. Mirroring many of the Job 225 qualities, our best resident amp on it tends to be the darker warmer Pass Labs XA-30.8. 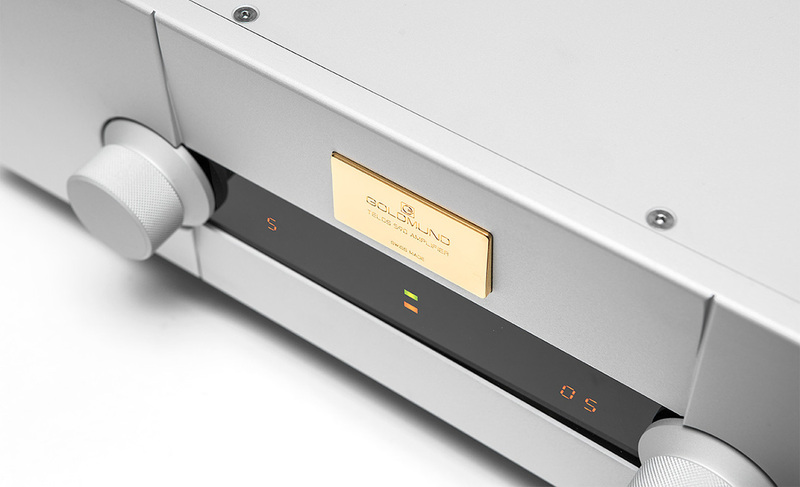 Though the Goldmund was clearly different, that difference explored parallel sonic options. It did not move up or down into superior/inferior dimensions. Inquiring into why and how—why didn't the more lit-up energetic NextGen misbehave into this load; how did it manage such strategic avoidance—I came down on colour intensity and calm. Starting with temperament, it seemed to be a function of smoother less pushy transients. Those subtracted a certain confrontational choppy gestalt and replaced it with fluidity. Colour intensity needs no translation. The term speaks for itself. Still, how the 590 generates it differed from what tube talk calls saturation. That relies on harmonic padding from octave doubling (2nd-order distortion) and soft treble. Goldmund's excess bandwidth avoids phase shift in the audible extremes. That means very high pitch definition and articulation in the bass, fully developed upper harmonics in the treble. It is those liberated hence polished upper overtones which replace the matte monitor version on the musical scenery with a glass-covered Retina display. That and not thermionic saturation is Goldmund's take on colour intensity.